A few comments from the artists and galleries who trust us with their work. I can’t say enough good things about Scott’s work. It’s high quality, on time and reasonably priced. You can’t find a better framer in Key West that offers such a wide range of services. 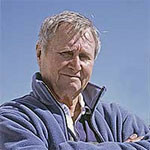 Photographer Alan Kennish lives and works on Stock Island, Key West, Florida. Alan started Key West Fine Art Photography and Printing in 2001. Alan uses Key West Fine Art Services exclusively for all of his projects. Scott’s terrific. He frames and stretches all of my work. It’s always perfect. Although Leo Gullick is known primarily for his photography, he recently had a show of drawings. 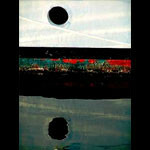 Two elements are consistent in his work, however, regardless of medium: abstraction and saturated color. 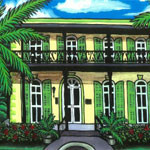 Leo uses Key West Fine Art Services exclusively for all of his projects. Over thirty years ago, Pam Hobbs came to Key West Florida on vacation and never left. After seeing the colors of the water, sky and the tropical flowers and trees her colors blossomed, as well as her use of different mediums. Her work portrays ideas and feelings with bright colors and bold shapes, giving people the same directness, boldness, freedom and happiness she feels living here in the lush tropics. Pam uses Key West Fine Art Services exclusively for all of her projects. Martha dePoo paints with a passion that can only come from a lifetime of loving and living in beautiful Key West, Florida. Her watercolors present images of Key West today and the Key West that lives only in memories of the very old and the imagination of the artist. Martha uses Key West Fine Art Services exclusively for all of her projects. The Audubon House Gallery features a unique collection of Audubon art. 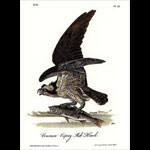 They offere editions for all preferences and a comprehensive selection of John James Audubon’s timesless images. Complementing their collection of stunning 19th century originals, they also offerseveral select limited editions of these American masterpieces as well as their very own limited edition of Birds of the Florida Keys. 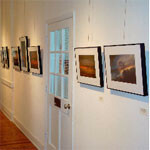 The Audubon House Gallery uses Key West Fine Art Services exclusively for all of their projects. Ronny Bailey creates miniature conch houses out of original materials salvaged from homes of this era. 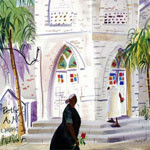 He is an artist who is true to the spirit of Key West, offers both prints and original miniature conch houses for sale. Ronny uses Key West Fine Art Services for his framing needs. Click for a short video of his work. 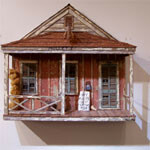 Roberta Marks is a noted Key West artist who works in sculpture, mixed-media, painting, and collage. She has shown in galleries and museums throughout the United States and abroad, including the Smithsonian Institution and Victoria and Albert Museum in London. 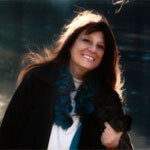 She has lectured in University settings here and in Europe, and is represented in Key West by the Lucky Street Gallery. She collaborates with Scott on her custom frames and shodow box pieces. Scott is not only a fantastic framer, he’s a great communicator which is so important when working together to get a project done. I always trust what he tells me, and he always comes through. He goes the extra mile; for example, he both framed and hung my Key West airport art-in-public photo display. He makes the logistics easy. Scott listens, offers options, and most importantly delivers a quality product on time and perfectly executed. Throughout Keith’s life, his creative impulses have been primarily inspired from the colors and forms of our natural environment. 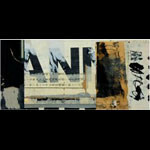 In addition to his Key West studio, he opened a second painting studio in New York City in 2002. By the end of 2003, drawn to the simple apple’s sculptural quality and visible core, his large single fruit still life paintings were underway. In early 2005, the still life paintings slowly evolved into the surrealistic “Fallen Fruit” series featuring mangoes or key limes suspended (or falling) on a natural background of sky and oftentimes horizon. The evolution of his lifelong fascination with the energy, color, and the radiant light of the sky continues with his latest series, SACRED SPACE dawn dusk.